Councillors have agreed Argyll and Bute Council’s top transport priorities, aimed at promoting economic growth and social inclusion. The local priorities will be fed back to the Scottish Government to help inform their latest National Transport Strategy, NTS2. The council has identified a number of transport priorities, matching many of those highlighted by residents of Argyll and Bute. The National Transport Strategy will set out the strategic direction for transport in Scotland over the next 20 years and will play a key role in achieving the priorities in Argyll and Bute. An integrated approach will be required, with the need for improvements on all of the key trunk roads identified as a priority. Also, further funding is needed to upgrade the local roads network across the area. 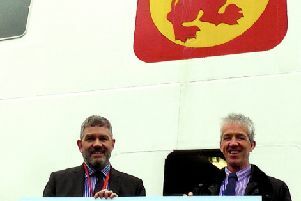 Improvements to rail and ferry services are also included in the council’s list of priorities. Councillor Aileen Morton, council leader and policy lead for economic development, said: “To make the most of the opportunities that Argyll and Bute has to offer, we need to have transport links that allow residents, visitors and businesses to get around efficiently and safely. The priorities we have identified are all important on a local level and for the wider benefit of Argyll and Bute, and indeed Scotland as a whole. A draft NTS2 policy will go out to public consultation in early 2019, with the strategy itself expected in the summer of 2019.